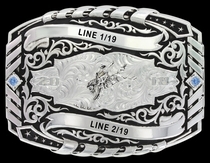 3-Piece custom buckle set 10614 by Montana Silversmiths. 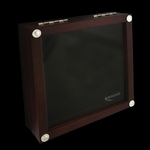 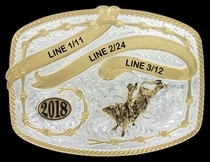 Choose an event figure to display and put up to four lines of engraving on the ribbons. 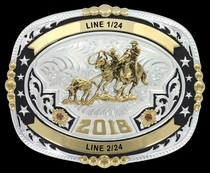 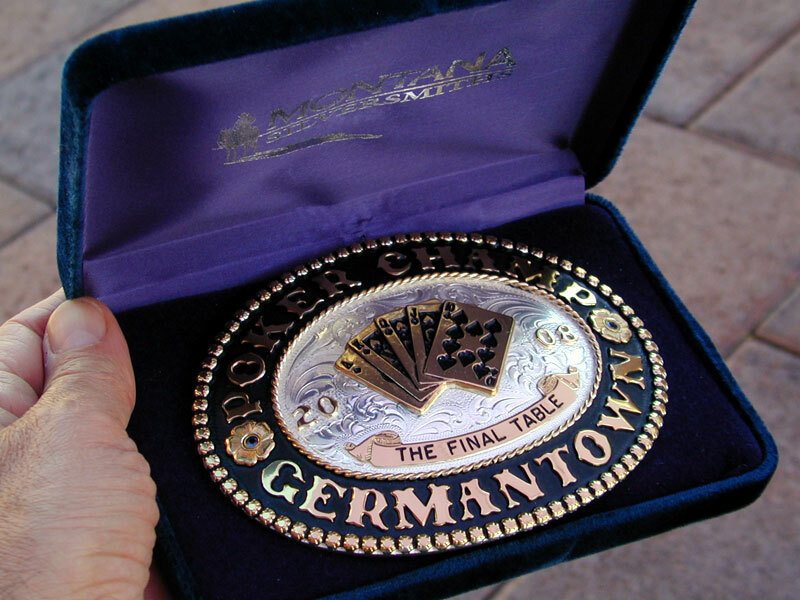 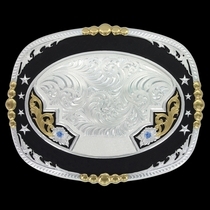 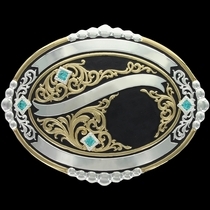 The custom buckle set shown here is with Midnight Black background and Bull Rider figure #646.